RMS Beauty is a concise, elegant, effective line of color developed by 20 year Makeup Artist veteran Rose-Marie Swift. She wanted to create a chemical-free makeup line using raw, organic, mineral-rich, food-grade ingredients to help heal the skin with Makeup Artist-approved results. The verdict? Kit-worthy basics that rev up the skin in a wonderfully natural way. It’s the only thing you need for dark circle-canceling coverage around the eyes, red blemish banishing, and overall skin-improving. 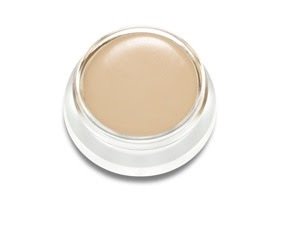 I liked its creamy, easy to blend nature – it’s best suited for those who favor a tinted moisturizer, mineral foundation, or wear concealer alone. Dab it on and blend it only into the areas where your skin needs a little oomph. lip2cheek is a pot of beautiful color that’s one of the first dual-purpose lip and cheek creams to actually flatter both. 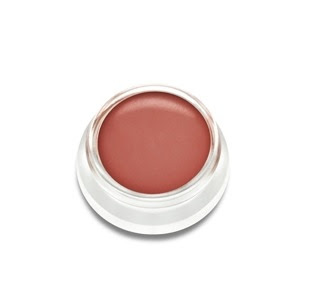 More sheer than dense, these luminous shades enhance the skin giving it a pretty flush of color. I wasn’t sent their Living Luminizer, but it’s a best-seller – a glow-invoking cream without glitter or weight that gives skin a healthy glow. Based on what I’ve used from the line so far, it’s worth a buy.